I am not sure about this. I am sitting on a half jet ski half dinghy in the middle of the Caribbean sea and Karen is about to take the driving seat to take us back to land. The last time I sat behind Karen on a motorised vehicle we almost ended up in the Philippine sea. Which would have been fine if we were on a boat but we were on a motorbike! So you can understand my fears. We are on an excursion here in Antigua and so far the day has been spectacular. 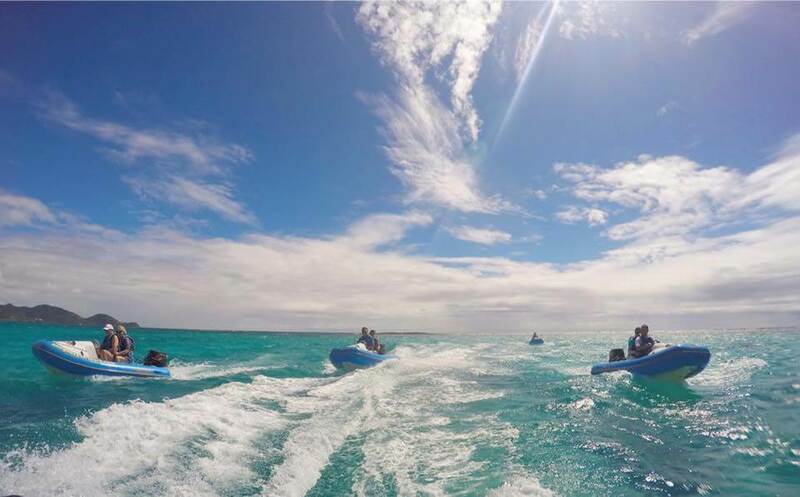 We have hired these jet ski hybrids (11 foot long rigid inflatable boat) out and set out along the Antiguan coastline towards a reef in the middle of the Caribbean sea. Flying over the turquoise waters with the wind in our hair couldn’t have been more Caribbean. Just moments ago I was in a state of calm bliss as we snorkelled the healthy reef. We didn’t see any large animals but there were plenty of shoals of colourful tropical fish around the reef. This made us very happy as the last few places we have dived in the reefs have been bleached. Now I am holding on for dear life as Karen flies over the water. She is not helping matters by laughing at my fears! There I was thinking I would be chilling on the beach with a book and cocktail. Antigua and Barbuda are two stunning tropical islands located in the northeastern area of the Caribbean Sea. The country’s name was given by Christopher Columbus in 1493 after discovering the island. The name is in honour of the Virgin of La Antigua in the Seville Cathedral. Like most Caribbean islands a lot of Antigua’s excursions involve the beautiful Caribbean sea but there are some fun inland activities too. As you have probably guessed I did survive the return journey even though Karen kept looking at the stunning beaches instead of what was in front of her! 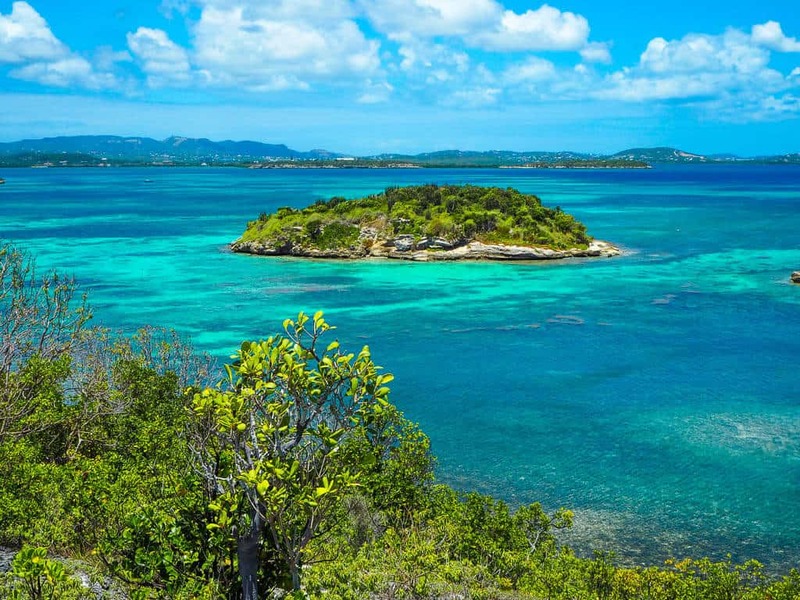 Skimming across the Caribbean sea on your own boat is a must when visiting Antigua. We did the tour with Antigua reef riders, who we highly recommend. 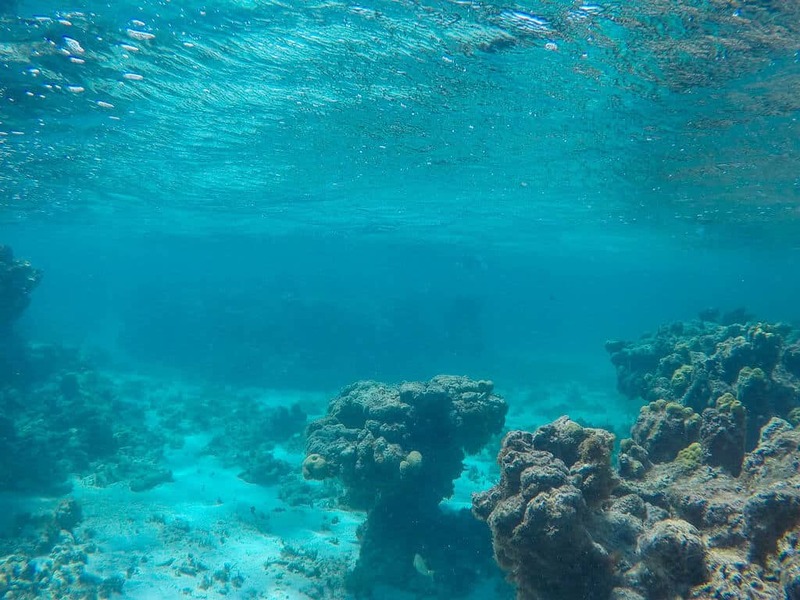 The tour we chose was the “Reef Rider Snorkelling Adventure”. Have fun! Our first day in Antigua couldn’t have been more Caribbean. Sunshine, Sea, Island, Rum and Reggae. See what I mean? 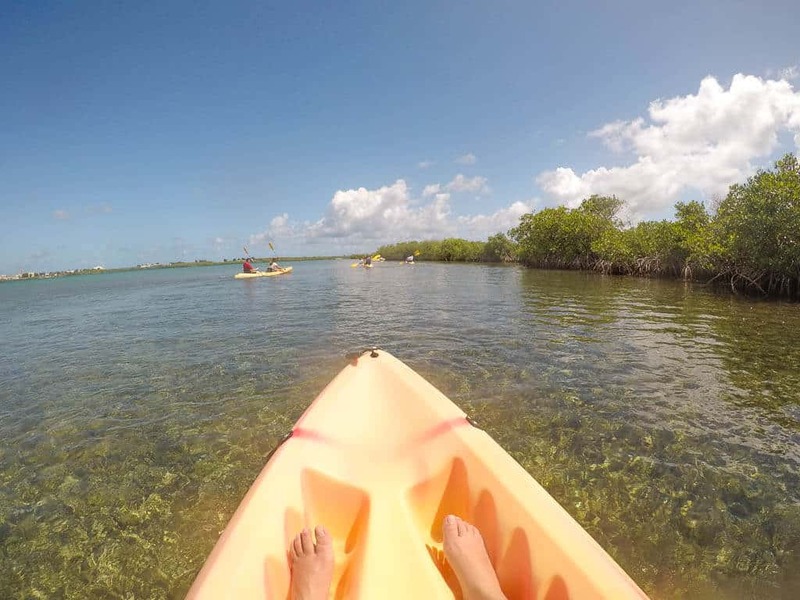 We went on a day trip with the wonderful Antigua Nature Tours where we kayaked in mangroves, snorkelled on a reef, drank rum on a desert island and trekked to take some stunning nature photography. The tour lasts 2 hours and 30 minutes and is the perfect way to start your Antiguan holiday. Shirley Heights is THE place to be on a Sunday night in Antigua. Overlooking English & Falmouth harbours the views here are spectacular. Throw in a steel band, BBQ jerk chicken and free flowing rum and you have the makings of a great Caribbean party. 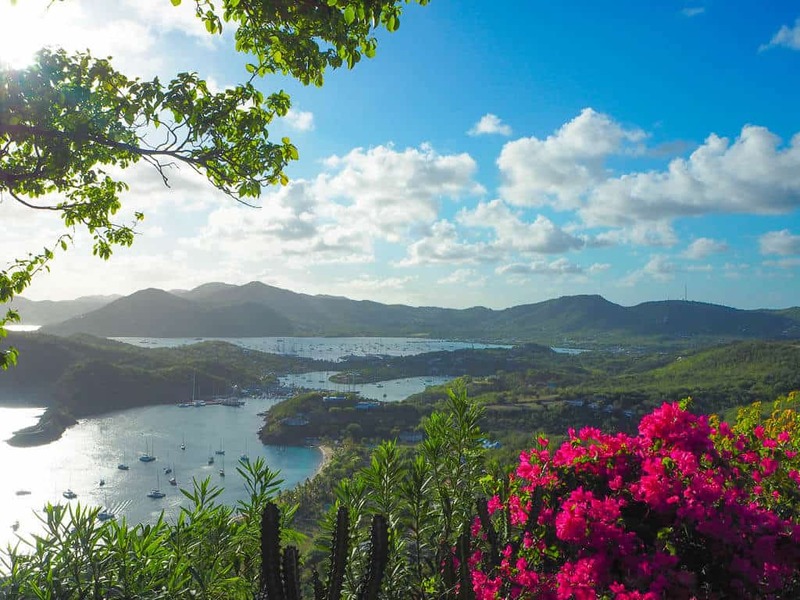 Shirley Heights is popular with tourists and locals so it’s a great place to kick back and learn about Antigua and Barbuda from a local’s point of view. 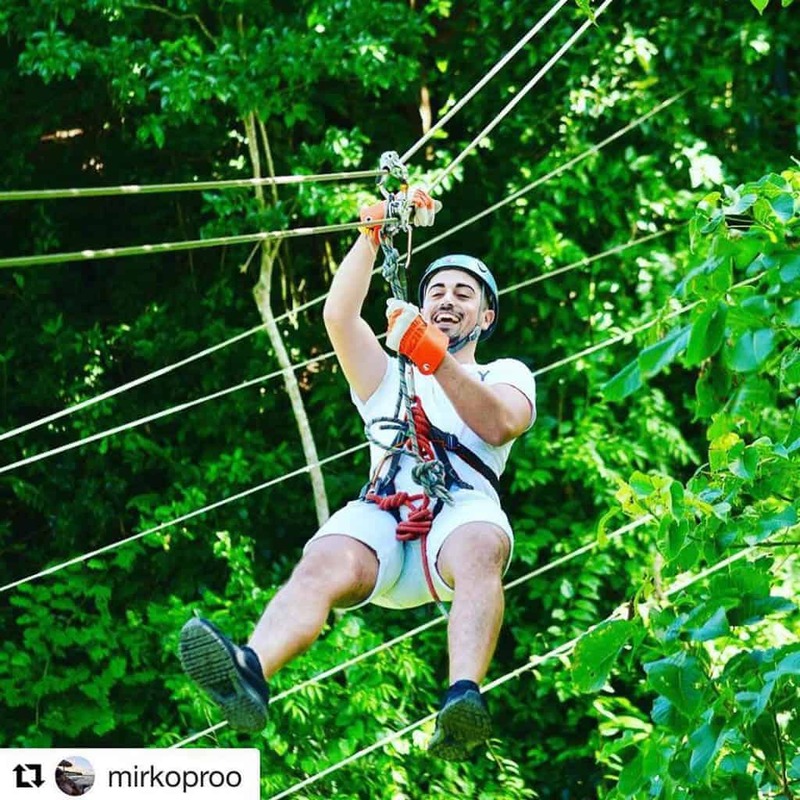 We love ziplining, it is such a thrill to be shooting through the rainforest at high speeds on just a wire. The Ziplines in Antigua are open to all ages making it a great family excursion. The youngest participant was 4 years old and the oldest 99 years of age. I hope to be doing the same at 99! The way to really get to know a country is through its food. 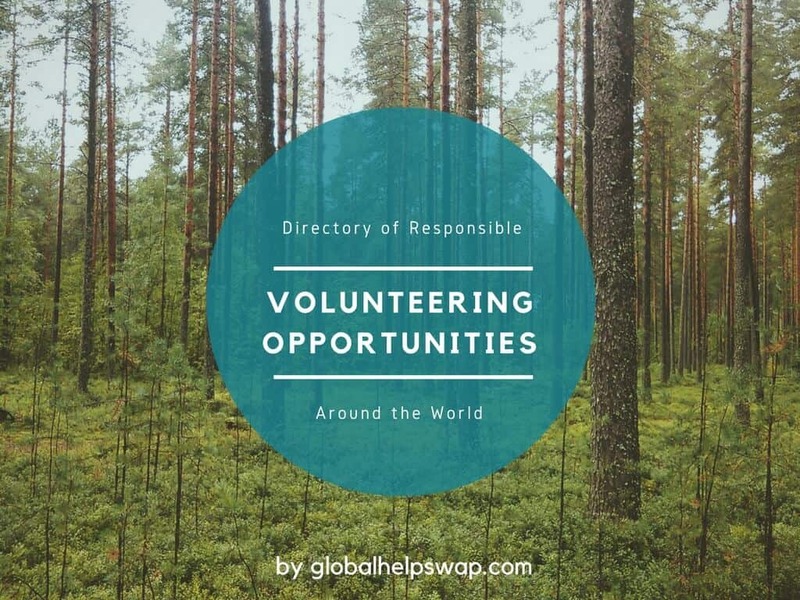 Sitting in local restaurants with locals or browsing around a local food market is a great way to break the ice with someone and start chatting. Better still if you sign up to a cooking class you go one step further. 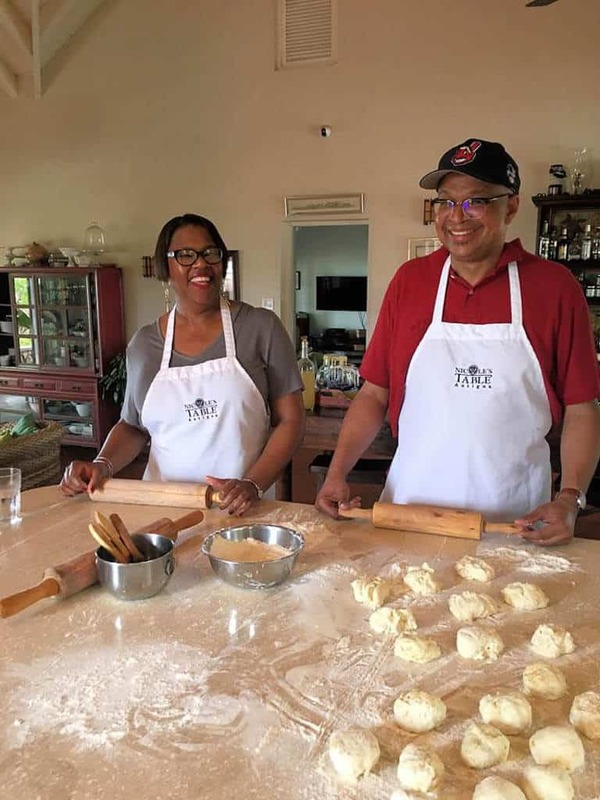 You normally go to the market with the chef before heading to their home to cook and learn Antiguan recipes. Not only do you have a great day out you also take home with you a new dish! 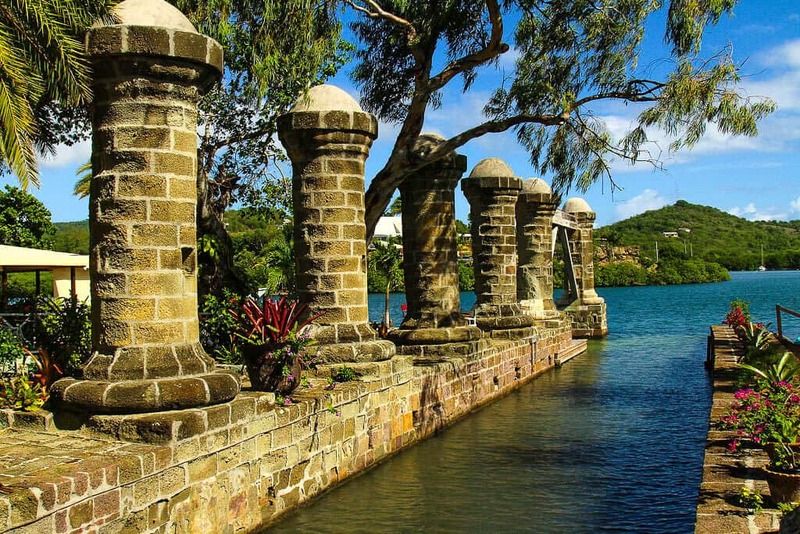 Nelson’s Dockyard is the largest of Antigua’s National Parks and is still used today as a working dockyard for numerous yachts and ships. Fully restored to its original splendor, the eighteenth and nineteenth-century buildings of the Dockyard house modern amenities such as shops, hotels, and marina businesses. Just outside the dockyard there are historic forts and hiking trails giving you the chance to enjoy the park’s natural beauty. 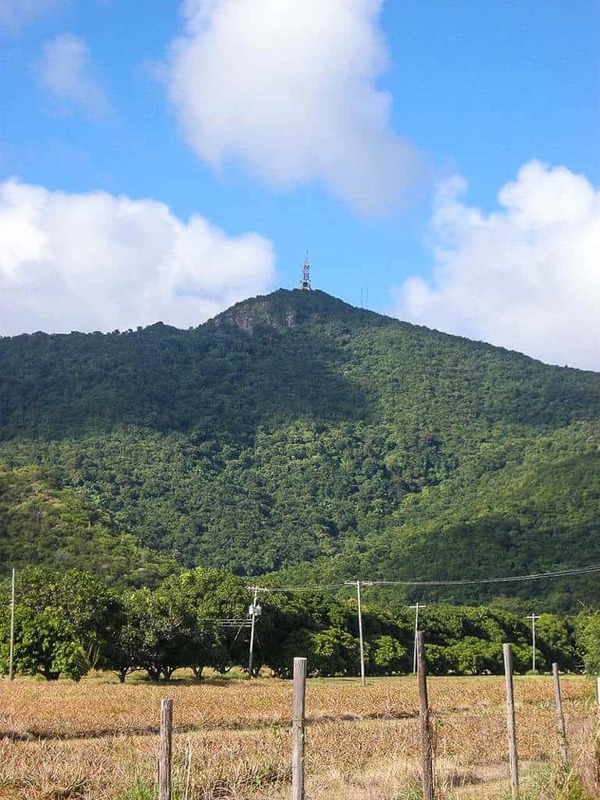 Mount Obama (ex Bogey Peak) is the highest point on Antigua and can be climbed from its southern or northern side. Its is not a climb to speak of, but more a stroll up the hill. It was renamed Mt Obama from Bogey Peak in 2009 in honour of the former US President. Devil’s Bridge was just a short walk away from our hotel. It is a perfect example of nature at its most powerful self. 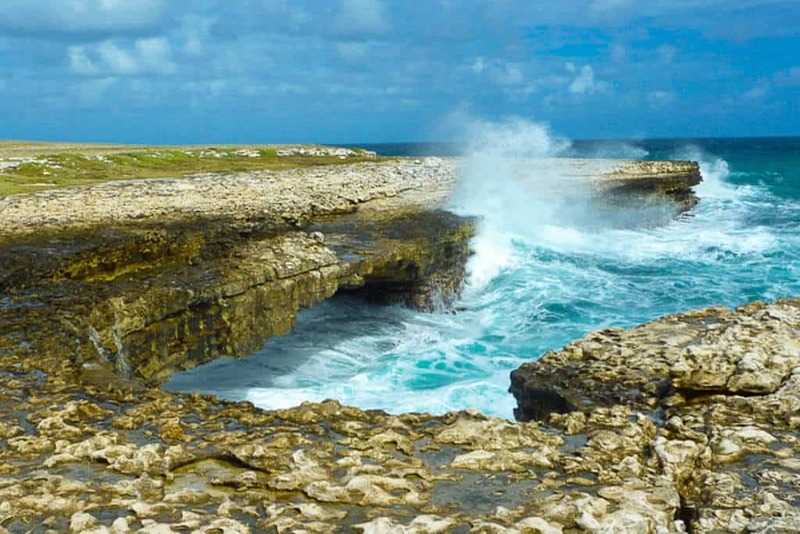 For hundreds of thousands of years the Atlantic waves have crashed on to the limestone shore here creating a natural arch or bridge. There are also lots of blow holes surrounding the arch as waves never stop their cycle of crashing on to the shore. 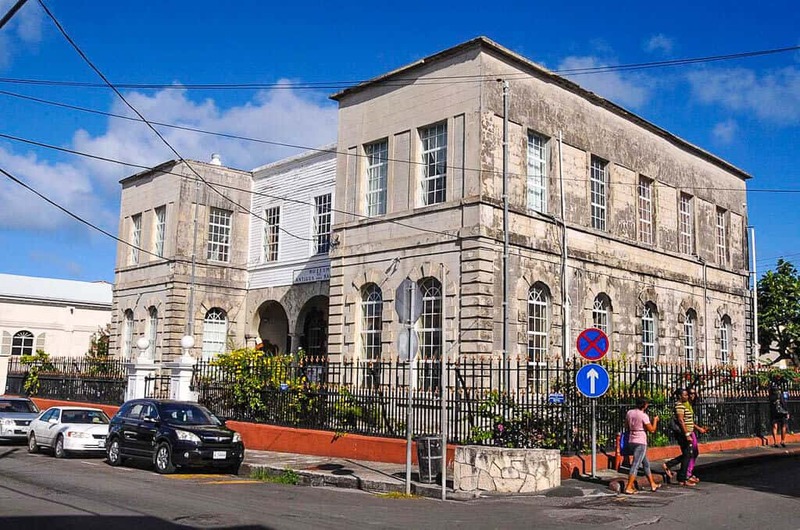 Covering 10,000 years of Antiguan and Barbudan history, the Museum of Antigua and Barbuda is located in downtown St. Johns. Learn about the original island inhabitants and how they lived right up to colonial times and Nelson. A perfect excursion when you want to get away from the hot Caribbean sun for a few hours. Just like eating in local restaurants, attending a match of any national sport is a great way to meet locals letting their hair down. Cricket in Antigua is more like a religion than a sport. If you do a bit of homework before landing on the island you will make friends for life. International matches are played at the Sir Vivian Richards cricket stadium but you will also catch smaller matches on the village green. 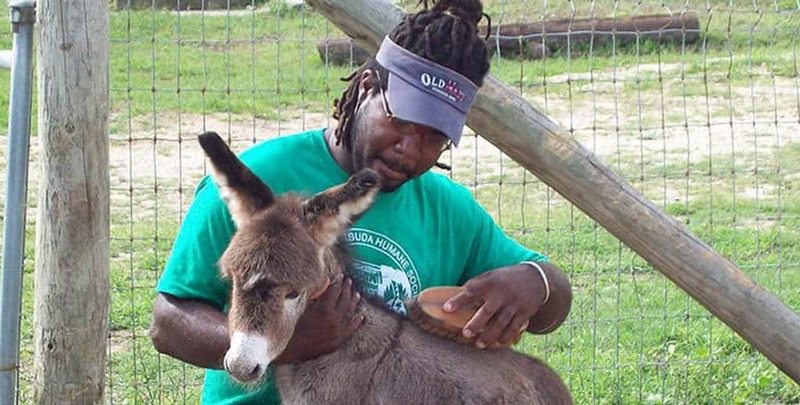 The perfect way to end your trip in Antigua is a visit to Antigua’s donkey sanctuary located near Bethesda. The donkey sanctuary offers a permanent home for donkeys at risk. The Donkey Sanctuary currently shelters more than 150 donkeys but this number is by no means finite. Although all stallions are castrated on arrival, more often than not the mares are already in foal when they arrive. As the gestation period is almost a year, there are frequently sweet surprises in store. The Donkey Sanctuary is open to visitors Monday through Saturday, including most public holidays, from 10 a.m. to 4 p.m. Restrooms and cold drinks are available. 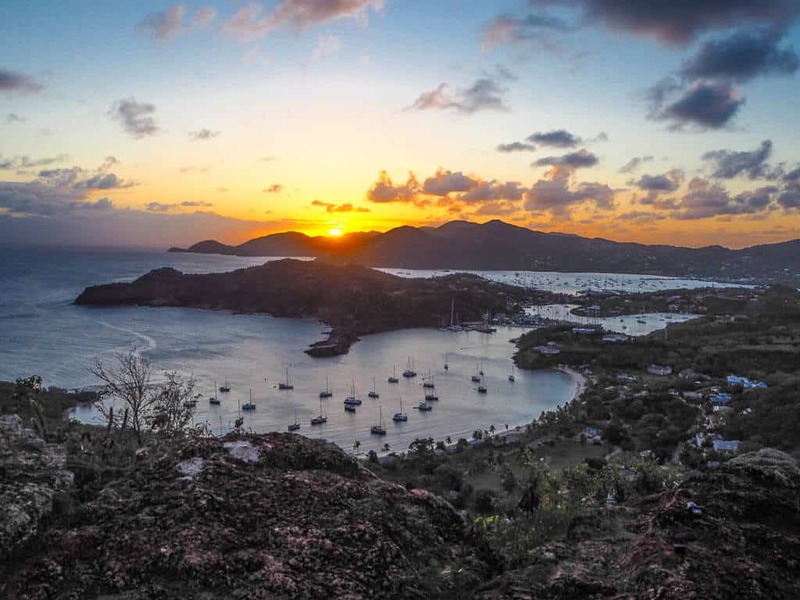 Antigua and Barbuda are two beautiful islands that are full of top end hotels. We know how easy it is just to kick-back and relax at these places and so you should. 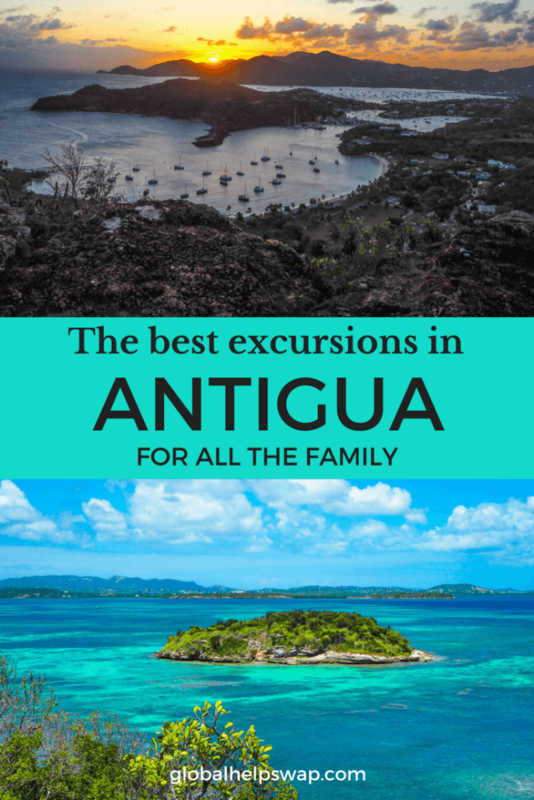 However, to get the most out of your stay in Antigua then we highly recommend that you go out on some Antigua Excursions to truly get to know the island. Just watch out for Karen skimming across the sea! Are there any other Antiguan excursions you would recommend? Please let us know in the comments below. 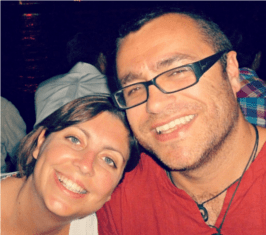 Singing holidays – How I made a dream come true in the Caribbean – We have all heard of writers retreats and painting holidays. How about Singing Holidays? Neither had we until we went to Antigua and signed up for a choir at our hotel. It turned out to be the best thing we have ever done in a hotel. We loved it so much we signed up for a choir back home!